Church of England leaders have accepted the need to be “hospitable” to other faiths within any future service at Westminster Abbey, in order to reflect the spiritual diversity of modern Britain. The Church has resisted calls for a multi-faith service in recent years, preferring to stress that the Christian nature of the coronation is preserved by law. Senior church figures told this newspaper t that it was now accepted that other faiths should be recognised within the coronation service for the first time. The Church considers the coronation to be a royal ordination, setting apart the monarch for a sacred purpose under God, and will resist any compromise of that. The ceremony contains elements dating back to 963, and is always written by the Archbishop of Canterbury, currently the Most Rev Justin Welby. The service is held at Westminster Abbey under the leadership of the Earl Marshal, currently the Duke of Norfolk, with the assistance of the Dean of Westminster, the Very Rev Dr John Hall. The Coronation Oath Act of 1689 requires the monarch to swear to uphold the Protestant faith, and the ceremony includes Christian sacraments such as Holy Communion and the anointing of the monarch by the Archbishop. Those will remain intact. There was some consternation in the Church seven years ago when it was reported that the Prince of Wales would like a multi-faith service to follow the Christian one, with readings and prayers by people of the Muslim, Sikh and Jewish faiths. With all the recent articles pushing Camilla & Charles. Talking about Charles taking over the Queen's duties and some talking about the Queens health. There are even articles that lean towards mean about the Queen. Is Charles the one pushing so hard behind this campaign? If he is who is his hatchet man doing the dirty work? I think Charles is doing, with a guess that Camilla is pushing. Mean to the Queen, Charles PR ? given how bad a job he thinks Mummy did , living in the past about it. Given Charles and Camilla are adultery, can they do holy communion ? be head of the church ? I think Chuck is behind this. The whole thing about other religions( modernize the monarchy) is way beyond Camzilla's MO. She is not so concrete and direct in her way to undermine people. She likes it more to discredit people( Diana) by making them seen insane or something like that. Never something that can be checked or discussed in a logical or deductive manner! She likes to scatter around some poison and then see who reacts while staying out of the spotlight herself. This is of Chuck's making BUT is influenced by Camzilla. He wants that crown and he knows she wants it. After all, it has been her sole purpose for the past 35 years. They are both aging fast and might even have health problems. Chuck is willing to betray anyone, his wife(Diana) his sons and his mother to get his meddling whiney hands on that crown and put it on his undeserving mistress/nanny's adulterous head before he dies or is otherwise incapacitated. Of course they can - they confessed their sins before God and the world - just because some people can't forgive them doesn't mean that God hasn't forgiven them. The ones who can't forgive of course aren't Christians as Christians are taught to 'forgive those who sin against' them. Forgiveness was for Diana to give. What we do is not forgetting what type of man he is and it has nothing to do with being or not being a Christian. I do not forgive Upchuck and nor am I religious anymore, due to the examples the heads of the church have displayed. The British public and the rest of the world were sold the fairy tale. I bought into it and we had a party at work on the day before the wedding and a party at home on the wedding day. I genuinely believed that Charles thought enough of Diana to live with her for the rest of his life. IMO people feel that they were fooled over the wedding. He should have had the balls to stay single. WTF are you rambling on about religion for. Who gives a sh*t if Charles is going to burn in hell for all the unchristian things he has done? This thread is not about religion and if you are a preacher just get your A$$ off the pulpit because this is a forum about royalty. If you want to preach there is a thread for that. How dare you feel so superior that you feel the right to judge everyone who does not share your beliefs to eternal damnation. Different cultures have different beliefs and there is no requirement in life that everyone has to believe your way. Of course people have a right to their beliefs, just as I have a right to mine - mine are Christian beliefs that include forgiveness. As for whether Charles will burn in hell - if he does for adultery so will Diana - but I don't believe that either will - why - because I believe that they were sorry for their actions, sought forgiveness from each other and God and that is enough for me. As for you attack on me - as part of my Christian faith I am able to forgive you for your attack and will pray that you are able to be more understanding of other people's beliefs and cultures than you showed in that post. As for why religion came into this - there is a simple answer - Mysha asked if Charles and Camilla can take communion having committed adultery so I explained that having confessed their sins to God they are free to take communion. Some might call you a self righteous old biddy but I guess it wouldn't matter because you are so filled with forgiveness. The spiritual adviser has arrived. If he cannot tell the truth ( forget forgiveness ) as he continues to lie, he cannot be faithful to his wife ( so how does he remain faithful to his country ) ? If Chuckles is a little unwell, he may push his mother or spike her food. I feel Phil is in his last year or two of life. Not sure the Queen will be that upset with that lying,rude,cheating man. It might give her a bit extra life.....now wouldn't that make PC spiral ? The Queen role is mainly ceremonial and can be delegated whilst she still remains the figurehead. Victoria was not seen by the public for years and still remained Queen. I don't think that the Queen needs to be visible that often and certainly should delegate the long hauls to the younger royals. Harry is becoming a big asset and Bea and Eugenie could take some some responsibilities. But Charles and Camilla still sling mud at Diana, so have they truly repented and turned from their sins? ^ Exactly neither has shown any type of remorse for their actions. IMO that is a requirement for forgiveness. Charles has always felt he is the most important and had little PR wars with his Mum's court which just showed his lack of respect. I think he is behind all these news articles coming out recently and I hope it blows up in his face in a very big way. I'm not concerned with whether the public "forgive" C&C. The fact remains that people remember what happened and what they have done. A person can forgive and still continue to be wary of someone else because of their history of hurtful actions. Forgiving does not mean forgetting everything. 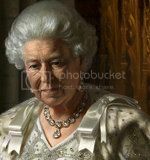 As Canadians prepare to celebrate Victoria Day, the official date of birthday honours for the reigning monarch, there is increasing speculation that Queen Elizabeth is about to make a decision that could have constitutional implications for Canada. When Queen Elizabeth II opened the British parliament last week, her son, Prince Charles, was in attendance for the first time in 17 years, along with his wife Camilla. Some royal watchers interpret the couple’s presence as a signal that the 87-year-old monarch might be preparing to offload some of her duties by elevating Charles to a prince regent. Another story pushing Charles to be in charge. Chuck doesn't control the press they *despise* on him like their life depends on it ...and please...if he did his phone conversations wouldn't have been public and Harry's (incredible) behind wouldn't have graced the cover of The Sun!!! Plus he has The Guardian to keep him humble . I would put nothing passed upchucky or zilla. They are both devious and just plain selfish and mean.